Custom Stainless Steel Work Tables and more! 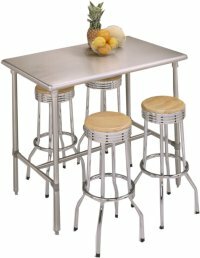 Home > SHOP OUR STORE > FURNITURE > Custom Stainless Steel Work Tables and more! Custom SS Counters and more ! The possiblities are endless, we have manufactured custom tables for our restaurant clients as well as architects and designers for over 20 years. We now can help you in your home with your Stainless Steel needs. Design your own work table according to your needs and space. Add a sink, an overshelf or pot rack to start. Add an adjustable undershelf or enclosed cabinet . We have just constructed Custom Designed Work Table for one of the foodnetworks new show. You can see more on the link below. Check the slideshow below for more pics! 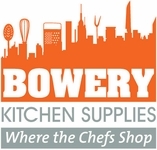 You can email us for a free quote at bowerykitchen@mac.com or you can fax us 212-242-7360 .